NEC? ?Interop Tokyo 2010???????????Android??????????LifeTouch?????????? ?Life Touch???????????????????????????????????????????? 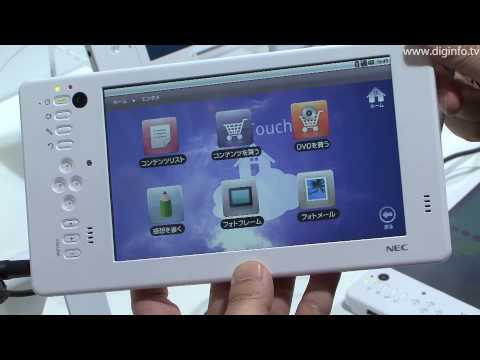 ?Life Touch??NEC??????????????????????????????????????? ?Life Touch???????????????????????????????Interop????????????????????????????????????????????????OS?Andoroid2.1??????LAN?Bluetooth?????3M????????????????USB???????SDHC???????????????????3G??????????????????????????????????????????????????????? :- LifeTouch(??????) : Interop Tokyo 2010- Interop Tokyo 2010?????diginfo.tv???? ?